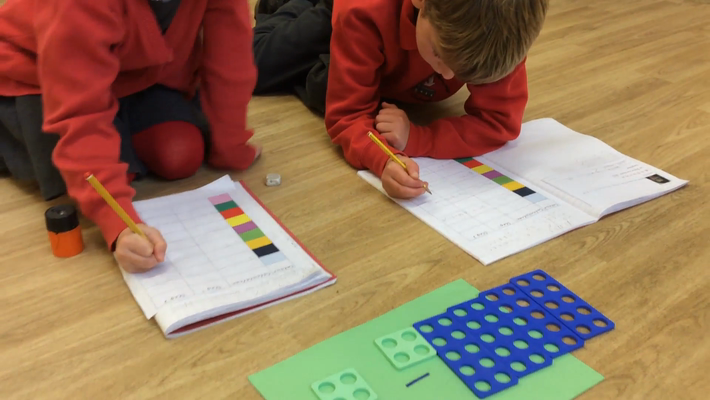 Autumn Term 2018 - We have been using our reasoning skills in maths, proving that you can use the same digit twice to complete a 'part-whole' model. Can we prove her wrong? We have thoroughly enjoyed using the Bee Bots to help us learn about position and direction. We used the mathematical vocabulary: left, right, forwards, backwards, clockwise, anti-clockwise, 1/4 turn, 3/4 turn and 1/2 turn to help us navigate. Can you work out these problems? Solomon, Molly and Henry are running a race of 1 mile (17 laps). Solomon has run further than half way. Henry has run exactly half way. Molly has run less than half way. How far could each child have ran? Who ran the longest distance? How many laps were ran in total? We opened our own class shop today. This helps us to learn about money. We have spent a lot of time looking at strategies to help us subtract numbers. 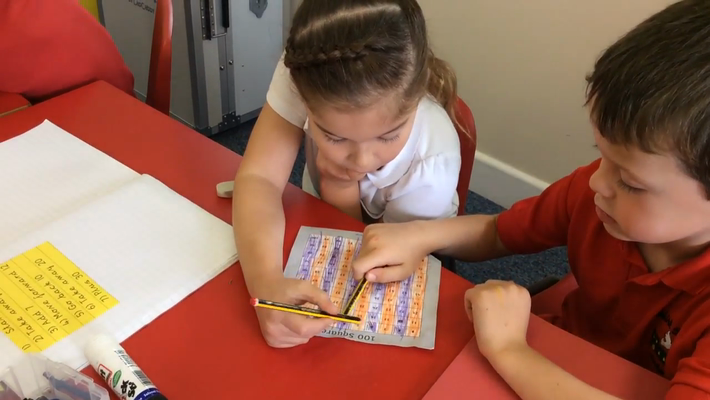 We have been developing our fluency in Maths. Learning about adding tens and ones. 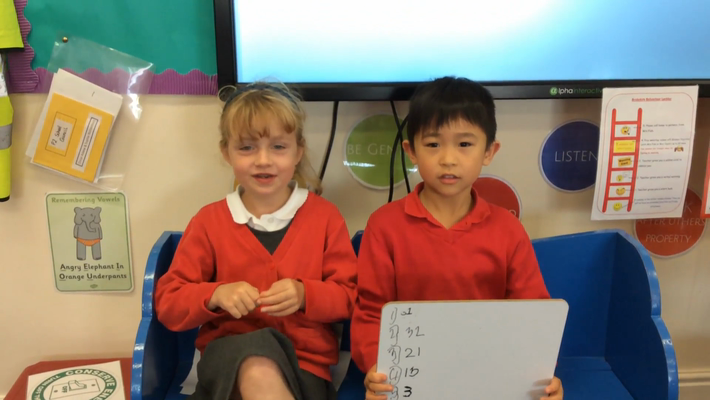 Mylo and Lucy tell us about what we have been doing in our lesson today. We have been learning about measurement. Are the children with the biggest feet the tallest?